Despite the fact that the Celtic civilisation has long since ceased to exist, remnants of it can be seen everywhere. However, few aspects of Celtic culture are more apparent in modern society than Celtic knots. These knots are complete loops that have no start or finish and could be said to represent eternity whether this means loyalty, faith, friendship or love. Only one thread is used in each design which symbolizes how life and eternity are interconnected. These complex designs are used as decorative accompaniments to a variety of items including jewelry sets, plates, mugs, clothing and even cutlery. Despite the seemingly ubiquitous nature of Celtic knots, these designs are not particularly understood. When you pick up a canvas bag with a Celtic knot, are you aware of the symbolism and spirituality attached to it? Below, we provide you with a detailed look at the different types of Celtic knot along with their origins and meaning. To understand the Celtic knot meaning we need to look to ancient history. Most information relating to Celtic knots is dated after 450 A.D when Christian influence on the Celtic civilization began to take hold. 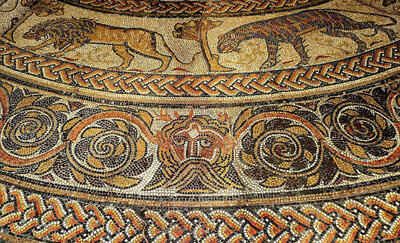 The designs can be seen in a variety of early Christian artwork and manuscripts with the addition of plants, humans and even animals in the art. 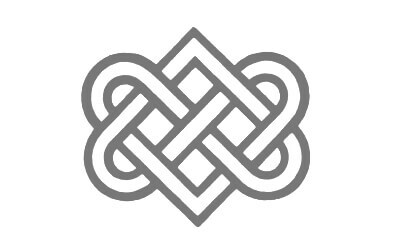 Yet some historians believe the origins of Celtic knots could be dated right back to 500 B.C although there appears to be scant evidence to back up that assertion. What we do know is that knot designs were used as early as the third century A.D and can be seen on Roman floor mosaics. Roman mosaic floor with Celtic knot incorporated into its design. There are many similar examples. These knots were also found on the architecture and book illumination of the Byzantine Empire (Rome’s empire in the East which was founded in 330 A.D). Further examples of Celtic knots can be seen in Ethiopian art, Russian book illumination in the Medieval era and Islamic art. 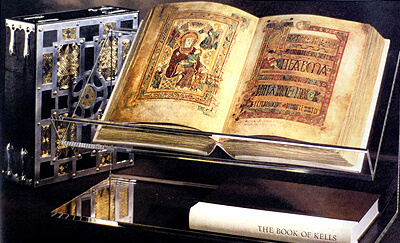 One of the main reasons why it is so difficult to place a precise date on Celtic knot usage in Christian artwork is because the traditional culture of Celtic knots in manuscript painting for example was passed down orally; a lack of written records makes it hard to pinpoint the exact time when Celtic knotwork influence began to spread though it appears as if missionary expeditions ensured these complex knot designs made their way to Europe and the Scottish Highlands. There is a theory among some historians that the pre-Christian Celts drew these particular symbols because they were not allowed to create other images; indeed, some scholars say the early Celtic religion was similar to Islam in that realistic depictions of living creatures were forbidden. As a consequence, this restriction may have given birth to Celtic knots in much as the same way as it did Arabic calligraphy. True knotwork; the term given to broken and reconnected plait work, began to be used in northern Italy and southern Gaul in the 7th century before it made its way to Ireland; it was also used by the Picts and Northumbrians among others. As you might expect, original Celtic knotwork underwent assimilation and adaption with the cultures that adopted it. For example, Irish works of this era featured unending loops consistently whereas Roman and Germanic adaptations occasionally included loose ends. 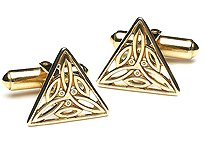 The ‘golden age’ of Celtic knotworks lasted until the 11th century and the Norman Invasion. Yet the Celtic tradition continued in Gaelic areas as wealthy aristocrats paid for ornaments decorated with Celtic knotwork. Most scholars believe that Celtic knots were developed for religious and secular purposes. 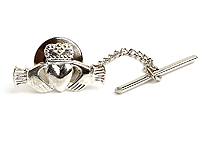 In the Christian era, Bible manuscripts, Celtic crosses and jewellery were adorned with these symbols. However, historians are having difficulty ascertaining whether or not there was particular significance behind each complex design. For the most part, it appears as if the Celts did not have any special meaning for each design as they were typically used as decorations to fill empty spaces such as in manuscripts for example. Yet as we mentioned in the introduction, it does seem as if the interlaced designs was a reflection of the Celtic belief in life’s interconnectedness and continuity. 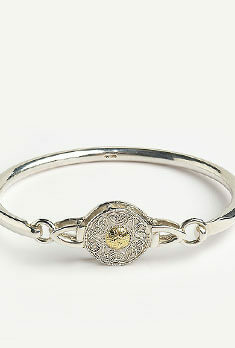 In the modern era, some designs have had meanings attached to them based on personal interpretation. Now, we look at some of the Celtic knot patterns and individual meanings. This pattern is said to represent the interconnection of life and our place within the universe. 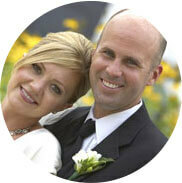 Examples include the Trinity Knot and the Lover’s Knot. This design is supposed to represent an individual’s accomplishment to balance his inner and outer self and it also reflects on his personal spirit. The pattern is also said to be representative of the Heavens, Cosmos and Water. In ancient Celtic culture, the spiral was a representation of the sun while a double spiral represented the equinox. According to famed archaeologist John Romilly Allen, there were eight ‘basic’ knot patterns based on three and four-chord plaits and you can click on this link to see them for yourself. These patterns are deemed to be representative of development and progression in life and could also be symbolic of the connection between the realms of heaven and earth. Step and maze patterns are also found in the art of the ancient Mayan, Egyptian and Aztec civilisations. 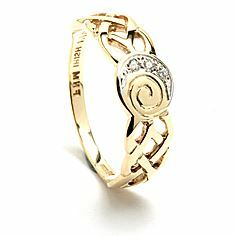 For individuals of Welsh, Irish and Scottish heritage, Celtic knot designs can be seen as a source of great cultural pride. As we mentioned above, historians cannot agree on whether or not there are specific meanings for each design. As a consequence, a number of the most popular designs have had meanings attributed to them within the last 150 or so years and we analyse them below. 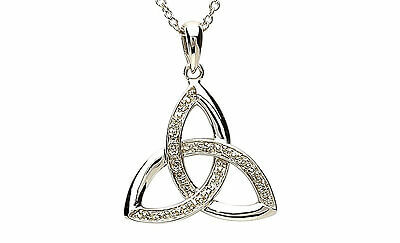 This is arguably the best known Celtic knot and is also called the Triquetra. The points on this three-fold knot are said to represent the Holy Trinity of the Father, Son & Holy Spirit but this cannot be verified as historically accurate. 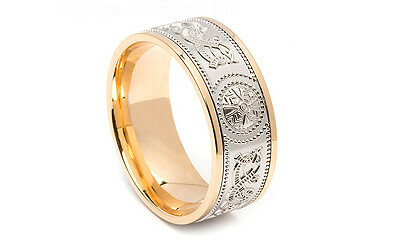 In the modern era, you will see the Trinity knot in jewelry and tattoo design. A fine example of the simple Trinity knot design in the form of a beautiful diamond pendant. 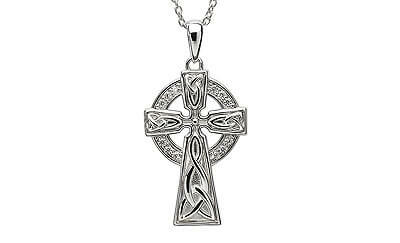 This is said to stand for eternal life and is believed to be one of the very oldest Celtic designs. This is another three-sided knot which stands for water, fire and earth which are the forces of nature. 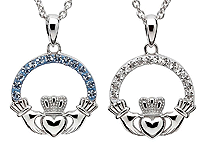 These designs feature a single continuous line which represents oneness of spirit and unity. 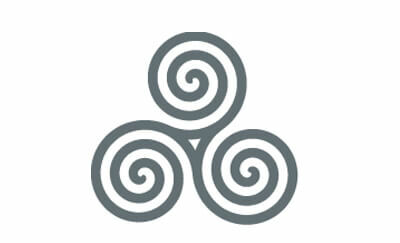 The Celtic Spiral design is another three-sided knot standing for water, fire and earth. 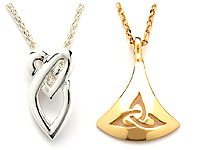 This design features interlaced knots and represents the love between two people. It is believed that the Celts exchanged these knots in much the same way as we exchange rings in the modern age. 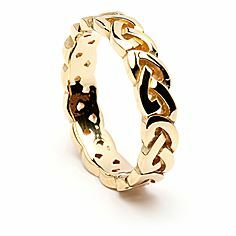 The Celtic Oval knot is one of the oldest and simplest designs. 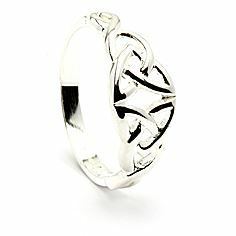 The Celtic love knot resembles two interlocking hearts and usually sits within an oval shape. This design features two intertwined ropes and may have been created by sailors during their long voyages as a means of remembering their loved ones. The Sailor’s knot is symbolic of friendship, affection, harmony and love. Although it is a relatively simple knot to tie, it happens to be one of the strongest. 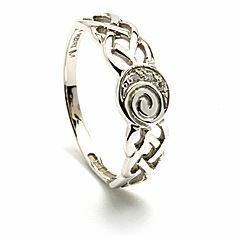 In this Celtic knot band, we have incorporated the Celtic sailors knot design. This particular design is depicted in a variety of ways but it is meant to symbolise an oak tree’s root system. It is representative of personal and spiritual strength. 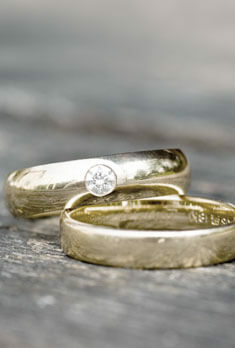 In all likelihood, the Dara knot is a modern creation but it is designed with Celtic knot traditions in mind. 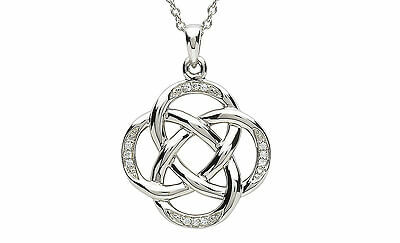 This exquisite Celtic pendant uses diamonds to highlight the curves of this Dara knot design. This is deemed to be an ancient Celtic symbol of protection and was placed either on battle fields or near ill people as a means of warding off evil spirits or other dangers. Although the Shield knot can be made in a number of designs, its four distinct corners must always be included. Designs usually comprise of thick strands with tight intertwined patterns as a means of depicting an unbreakable barrier. 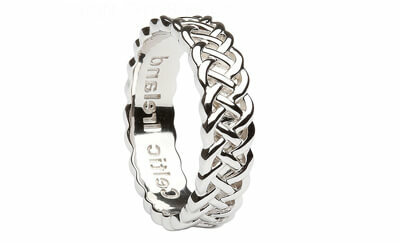 We use the Celtic shield knot design throughout our Celtic Warrior Ring collection. This ornate cross was given a meaning by both the Pagan religion and the Christian church. According to Pagan religion, the Celtic Cross is symbolic of the four directions, the elements and it is the meeting place for all divine energies. According to the Christian religion, it has the symbolism and meaning of the cross on which Jesus Christ, the son of God, was crucified. 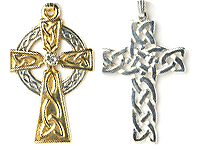 Both Pagans and Christians had their own meaning associated with the Celtic Cross. 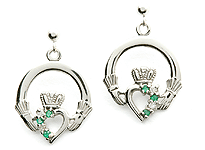 There are an immense number of ways in which the Celtic knot design can be used. As well as being adorned on clothing and art, these complex designs look amazing on jewellery such as rings, pendants and necklaces. These designs also enhance the art of calligraphy. 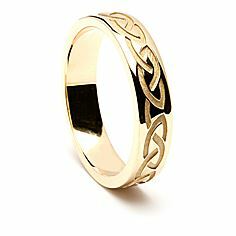 As well as being stunning to look at, Celtic knot designs have a rich cultural heritage and can convey a variety of meanings. Whether you decide to wear one or simply create your own design, you will be helping to carry on a lengthy and noble tradition.